​The leaves, fruits and seeds of milk thistle have been used for centuries as a natural predatory agent. Milk thistle is one of the world’s most powerful liver detoxifying agents. Many individuals have seen dramatic improvement using milk thistle for various health issues. The active antioxidant compound within milk thistle is the flavonoid complex called Silymarin. This antioxidant is one of the most powerful liver detoxifying agents. It helps boost glutathione and superoxide dismutase, which are two of the bodies master super antioxidants. One of the most nutritious parts of the cranberry is the seed. The oil from the cranberry seed contains high levels of polyunsaturated and monounsaturated fatty acids, phospholipids, phytosterols and large amounts of antioxidants that offer a variety of health benefits. Kale is considered one of the most nutritious vegetables in the world and is known as the “original superfood”. Kale contains high amounts of sulfur and dietary fiber. 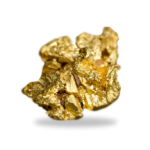 Sulfur is actually the third most abundant mineral in the body and aids fat digestion and absorption, and the regulation of blood sugar. 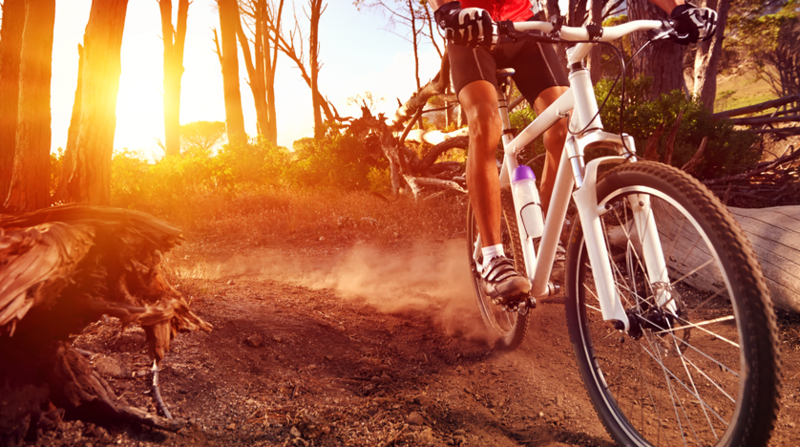 Aside from being great detoxifiers, sulfur and fiber also maintain weight in normal levels. This fact, coupled with its low calorie and fat content, makes kale an effective food to maintain weight in normal levels. Wheat grass is composed of the young shoots of wheat before stalks form a head with grain. It contains no wheat gluten and is considered by many natural health professionals to possess many health properties. Wheat grass is, by composition, a superfood. This is due to wheat grass’ heavy concentration of chlorophyll, vitamins, minerals and enzymes. ​Hundreds of studies have been conducted on black cumin, which have shown that compounds from the seeds help support the body’s immune system. ​Black cumin seeds contain over 100 chemical compounds, including some yet to be identified. In addition to what is believed to be the primary active ingredient, crystalline nigellone, black cumin seeds contain: thymoquinone, beta sitosterol, merits acid, palmitic acid, palmitoleic acid, stearic acid, oleic acid, linoleic acid, arachidonic acid, protein, vitamin B1, vitamin B2, vitamin B3, folic acid, calcium, iron, copper, zinc and phosphorous. Spirulina is one of the most widely studied foods on the planet. In fact, studies in the last decade alone have shown that the regular consumption of spiralling can help enhance brain function, help improve white blood cell count, stimulate antibodies, boost liver health and more. Chlorella, derived from single-celled algae, has long been eaten in numerous Asian countries and is a true “superfood”. 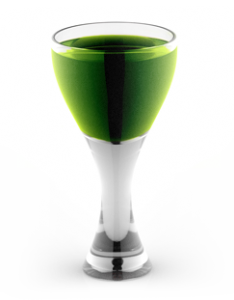 Chlorella is a nutritional powerhouse. It is approximately 60 percent protein, providing the same quality of protein as eggs. It is also a good source of lipid-soluble vitamins, choline, essential minerals and fiber. Ancient Egyptians dubbed aloe vera the “plant of immortality”. The earliest recorded use of aloe vera by humans goes back to 16th century B.C. Dandelion roots, sap and leaves are powerful ways to help keep the body healthy, ranging from improving liver function to combating skin conditions. Dandelion has been used successfully across a variety of cultures, for several applications. It’s not secret that it’s an excellent way to keep the body healthy.*. Chlorophyllin has been used traditionally to improve bad breath and other forms of body odor. ​Studies show that the healthier a person is, the less money they spend on medical bills annually (US). 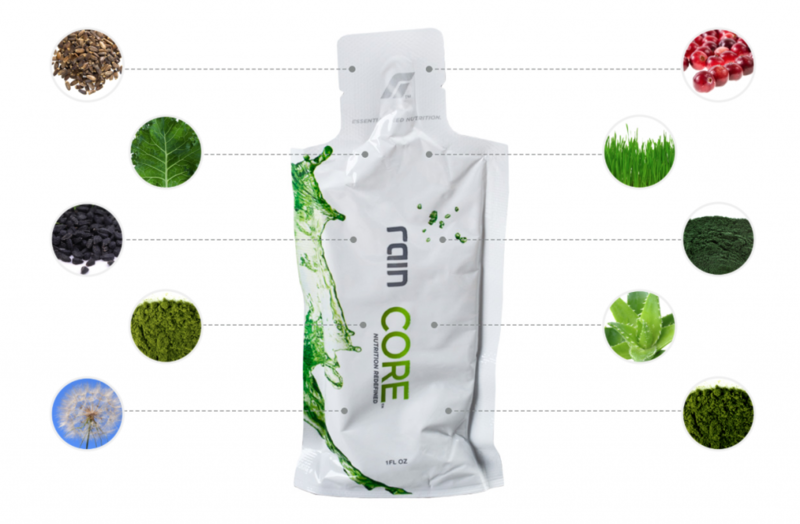 Core is the second supplement from Rain International and it contains high quality, dense nutrition in a 1 ounce packet. Core is packed with nutrients from all kinds of seeds and greens. Within Core is Chlorophyllin, Aloe Vera, Spirulina, Wheat Grass, Cranberry Seed, Milk Thistle Seed, Kale, Black Cumin Seed, Chlorella and Dandelion. Each of these ingredients contributes to good health and have a powerful effect on your body’s organs. For example, Spirulina promotes brain function while Kale assists in fat digestion and Dandelion benefits skin health for improved overall wellness. ​Just like Soul, Core is a non-GMO product, which means that it hasn’t gone through extensive processes to be engineered with bacteria, viruses or other plants, so it’s gentler on the environment. * Also, greens are a part of our recommended daily diet and Core provides a number of the most potent greens available. Scientists worldwide have studied and continue to unearth benefits of the ingredients found in Core. 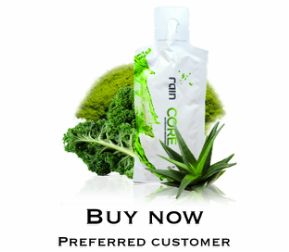 In fact, just one of the many ingredients in Core is so beneficial that there are companies that base their entire supplement line on that single plant. Rain knows that many nutrients are better than one and that due to synergy, one plus one equals three in terms of human health.